Sinéad O'Connor Biography, Discography, Music News on 100 XR - The Net's #1 Rock Station!!! Sinéad Marie Bernadette O'Connor was born in Dublin, IRELAND on December 8, 1966. She spent her early years there, growing up with her parents, her sister Eimear and three brothers; at the age of eight O'Connor went to live with her mother following the divorce of her parents, she later claimed that her mother frequently abused her and in the late '80s she decided to move in with her father and his new wife. After this turbulent period, O'Connor was also arrested for shoplifting, she joined a band called Ton Ton Macoute; traumatised by the death of her mother, who died in a car accident in early 1985, Sinéad O'Connor left the group and moved to London where she pursued a solo career. She had her first break when she performed "Heroine", a song used on the soundtrack for the film "Captive", which she cowrote with U2's guitarist The Edge. O'Connor issued her proper debut album, "The Lion And The Cobra", in 1987; the record became a major hit on both sides of the Atlantic reaching the #36 on The Billboard Top 200 Albums chart and spawning no less than three U.K. top 40 hit singles: "Mandinka", "I Want Your (Hands On Me)" and "Troy". She appeared in the American press saying she supported the Irish Republic Army, but years later she admitted that the pro IRA comments were based on nonsense. A year later she contributed "Jump In The River" to the soundtrack of the Jonathan Demme film "Married To The Mob"; released as a single, the song crashed into the top 20 of The Modern Rock Tracks chart. In spring 1990 Sinéad O'Connor released her second full-length disc, "I Do Not Want What I Haven't Got", this album climbed the American Billboard Top 200 Sales list peaking at #1 thanks to the chart smash "Nothing Compares 2 U", a Prince-penned song which rose to the top spots on both The Billboard Hot 100 and The Modern Rock Tracks; the second single, "The Emperor's New Clothes", also hit #1 on The Modern Rock chart. That summer she joined many other stellar artists for former Pink Floyd member Roger Waters' live album "The Wall: Live In Berlin". At the 33rd annual Grammy Awards, O'Connor won her first-ever Grammy for Best Alternative Music Performance for "I Do Not Want What I Haven't Got" album. The follow-up album release, "Am I Not Your Girl? ", a set that featured predominantly covers and Pop standards recorded in New York with a 47-piece orchestra, made its debut at #27 on The Billboard 200 but failed to rack up significant record sales and spun off only one Modern Rock top 20 single, "Success Has Made A Failure Of Our Home". Shortly after the album's release, on October 3, 1992, the controversial artist appeared on Saturday Night Live and at the end of the show she screamed “Fight the real enemy!”, then help up a photograph of Pope John Paul II which she ripped into pieces; predictably, this damaging action caused her to be pilloried in the press. In early 1994, O'Connor contributed the song "You Made Me The Thief Of Your Heart" to the soundtrack for the film "In The Name Of The Father"; the track received nationwide airplay on U.S. Modern Rock stations cracking the top 30 of the Billboard chart. Later that year she released her fourth album, "Universal Mother", the relatively weaker chart placement of #36 on The Billboard 200 was indicative of her future in the U.S. chart. Sinéad O'Connor re-emerged in mid-1997 with the 6-track EP "Gospel Oak" which included the minor hit single "This Is To Mother You". After three years break, during which time she recorded a rendition of "I Guess The Lord Must Be In New York City" for the soundtrack to "You Got Mail" and also appeared on the soundtrack to "The Talented Mr. Ripley" with the mystical ballad "Lullaby For Cain", O'Connor released her first full-length album in six years, "Faith And Courage", it reached the #55 on The Billboard 200 chart and spawned the hit single "No Man's Woman". 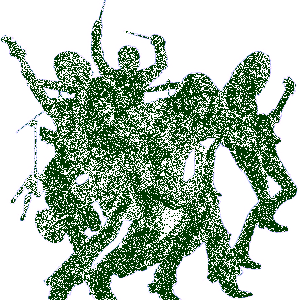 October 2002, saw the release of "Sean-Nós Nua", which consisted of 13 traditional Irish songs dusted off and set to new arrangements. The two-disc set "She Who Dwells In The Secret Place Of The Most High Shall Abide Under The Shadow Of The Almighty" appeared a year later, it collected hit, rare and unreleased tracks, as well as live concert recorded at Dublin's Vicar Street Theatre in 2002. 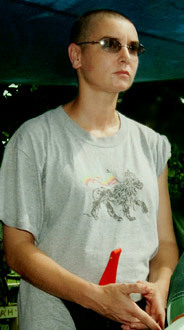 In 2005 Sinéad O'Connor released her studio record titled "Throw Down Your Arms", a collection of Reggae classics tunes, including the single "Marcus Garvey".